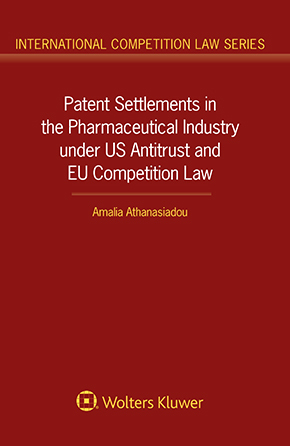 Patent Settlements in the Pharmaceutical Industry under US Antitrust and EU Competition Law examines patent settlements between originators and generic pharmaceutical manufacturers under United States (US) antitrust and European Union (EU) competition law. The major focus is on patent settlements involving reverse payments, commonly known as “pay-for-delay” settlements. Reverse payment settlements or “pay-for-delay agreements” create heated debates regarding the balance between competition and intellectual property law. These settlements touch upon sensitive issues such as timely generic entry and access to affordable pharmaceuticals on the one hand and the need to preserve innovation incentives for originators and to strengthen the pipeline of life-saving pharmaceuticals on the other hand. This book is one of the first to analyse critically and comparatively how such patent settlements and various other strategies employed by the pharmaceutical industry are scrutinised by US and European courts as well as enforcement authorities, focusing on the applicable legal tests and the main criteria used by courts and enforcement authorities when applying antitrust scrutiny. the benefits of settlements and the main criteria for assessing their legitimacy under US antitrust and EU competition law. The analysis provides concrete examples of both illegitimate and legitimate settlements and strategies, emphasising on conduct that falls within a grey zone and on the circumstances and criteria under which such conduct could be deemed problematic from an antitrust perspective. This book argues that even though patent settlements and other types of potentially exclusionary and abusive conduct change form rapidly, the main criteria for their assessment remain broadly the same. This book will serve as a valuable guide for pharmaceutical companies wishing to minimise the risk of engaging in conduct that could potentially infringe US antitrust and EU competition law. This book is also beneficial to legal counsels, practicing attorneys, competition authorities and judges wishing to have the overview of the current legal standards in both the US and the EU. It further aims to save courts and enforcement agencies and also practitioners and academics considerable time and resources by providing an exhaustive analysis of the relevant case law, with the ultimate goal to increase legal certainty on the most controversial aspects of patent settlements in the pharmaceutical industry.